At Freedom Glass Company, we value our customers. Your satisfaction with the job we do is our #1 priority, so we will do our best to make sure you have a great experience. In order to back up that promise, we offer a wide range of glass & window services for your residential and automotive needs. We have a team of window contractors who will come to your property to determine the best process for repairing or replacing your home windows. 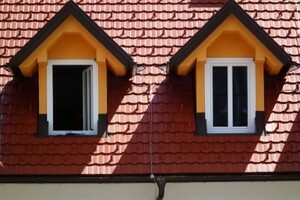 We carry the top window brands, and we also offer a guarantee on all new windows that adds value to the job. 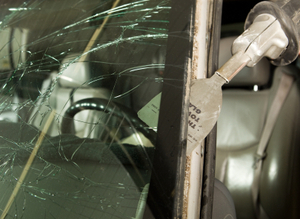 For auto glass repair or replacement, we offer mobile service and will come to you. This saves you valuable time, since you can continue working or spending time with loved ones while the job is done, instead of having to waste an hour or two sitting in the lobby of an auto repair shop. Our guarantee extends to vehicle windshields and is good as long as you own the car. If you have just a crack or chip and don’t necessarily need a brand new window or windshield, we can perform auto glass repair to seal the crack or chip, often at a cheaper price than our competitors. We have a shop in Mooresville, North Carolina, and we will come to any residence or property within a 50-mile radius. We also take pride in our customer service and will make sure you understand the planned repair or replacement before we begin working on your vehicle or home. For more information about our glass & window services or to schedule an appointment, please contact us today. The Freedom Glass Company is a locally owned business in Mooresville, NC and has over 40 years’ experience in window repair and replacement. 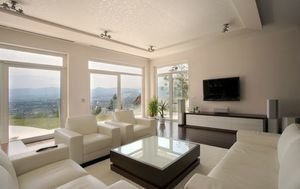 Using only the best products in the business, they provide a full range of glass services for vehicles and home windows. With their experienced leadership, they have the best people employed to ensure the job gets done right, professionally. The Freedom Glass Company is insurance approved for auto glass repair, and they stand by their work, guaranteeing it for as long as you own the vehicle. They provide windshield repair or window replacement for all types of vehicles, such as: cars, trucks, SUVs, RVs, boats, heavy equipment and classic cars. They also provide a mobile service, which emphasizes their quality work at competitive rates. Servicing the Mooresville and surrounding areas, the Freedom Glass Company will provide glass services for all home windows. Doing upgrades to residential glass to increase home value, improve appearance, or for energy savings, is one of the benefits of using the Freedom Glass Company. Their experts will give the best advice on style and brand. Additional home windows and glass services provided are: door fronts, window screens, patio glass, glass tabletops, mirrors, insulated glass and picture frame glass. With their extensive experience and professional approach, the Freedom Glass Company is a convenient and affordable choice for all glass repairs. Accepting all forms of payment, they are proud of their work, and it shows. Before performing any windshield replacement or auto glass repairs, they ensure that you understand the glass damage and how it may impact you in the long run. This means that you will have the right information to make an informed decision. Whatever your glass repair needs, you should make the Freedom Glass Company your first choice.